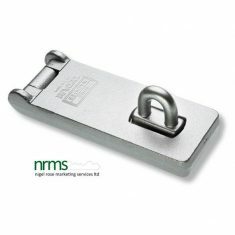 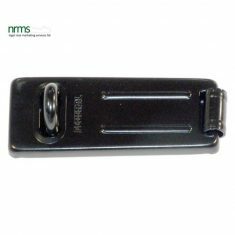 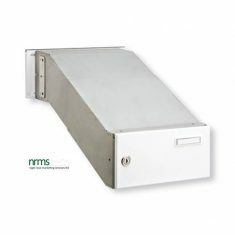 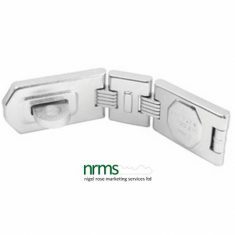 Hasps and Staples from Nigel Rose (Marketing Services) Limited are available in a wide range from several manufacturers. 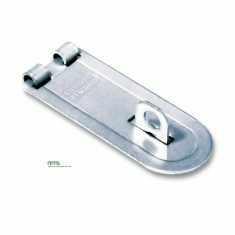 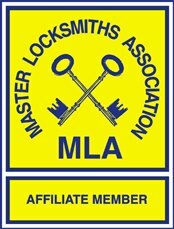 Basically a hasp and staple is a simple means of mounting a bracket on a door to which a padlock or anvil type padlock can be fitted. 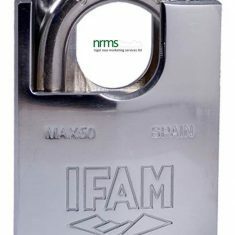 It is important that the quality of the hasp and staple is matched by the quality of the padlock used to secure it. 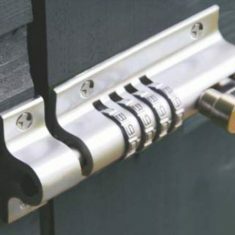 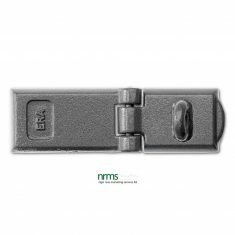 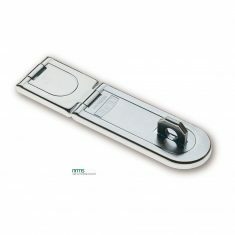 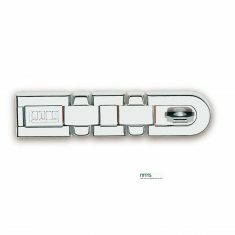 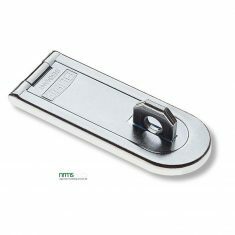 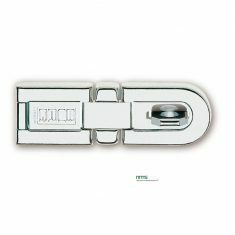 The basic type has a single hinge to enable the hasp to fold back over the staple to facilitate the padlock, however other types can have two or even three hinges to wrap round particular shapes of door frames.